With the movie “Captain Marvel” coming out soon, everyone is excited about Captain Marvel’s cat named Goose in the movie (but Chewie in the comic book). What has people especially excited is that Captain Marvel’s cat will be revealed to be an alien. According to the comic books, the cat is an alien named a Flerken, which can spit out tentacles from its mouth. 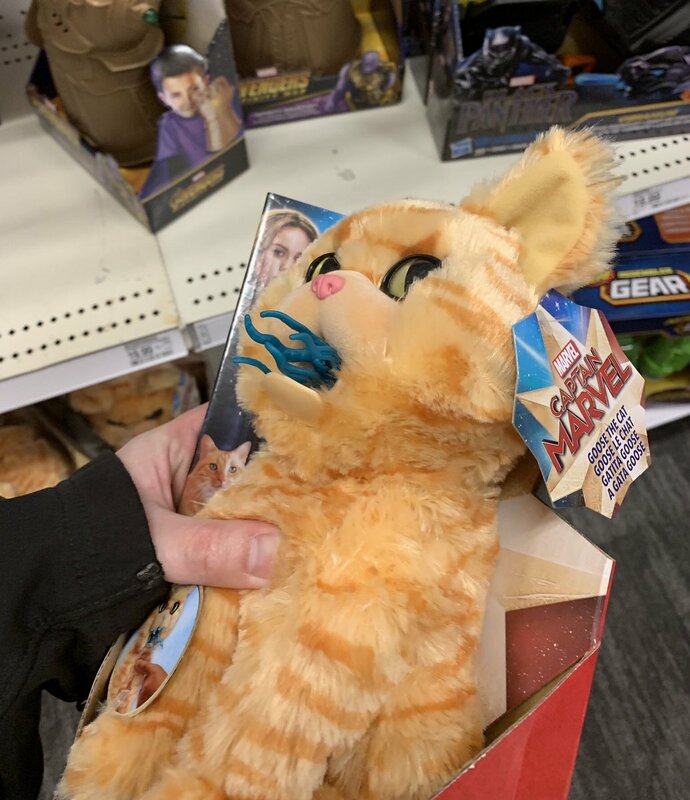 Now a Hasbro toy has confirmed the cat’s alien origins. The next time you look carefully at your cat, beware. It might be an alien too, or at least annoy you enough to make you think it has a form of intelligence beyond your comprehension. To read more about Captain Marvel’s cat, click here.